Fees associated with filing industrial design application in Colombia as well as other design fees are available in the fee calculator. Multiple design applications are possible in Colombia. - products to which the design applies and their class. A copy of a Power of Attorney signed by the legal representative of an applicant must be provided within 30 working days from notice. The legalisation is not required. It is necessary to provide a certified copy of the priority document translated into Spanish within nine months following the priority application date. If the applicant is not the creator of an industrial design a non-legalized Assignment Deed must be provided within 30 days from issuance of the Official Action. The substantive examination of a Colombian design application is not required. If the disclosure of the information on the industrial design has been made by the applicant, inventor or assignee, third party who have obtained information from applicant, inventor or assignee and national office disclosure in contravention of rules 6 months before filing date or, if priority is claimed before the priority date it will not disprove the novelty of a Colombian design application. The validity term of an industrial design registration in Colombia is ten years from the date of filing. This term is not renewable. There is neither official grant fee nor annual fees are stipulated. 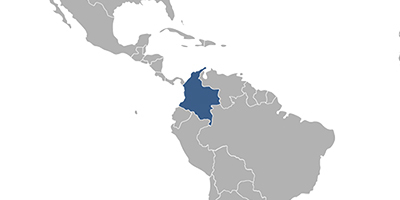 Foreigners must perform the design prosecution in Colombia through a Colombian patent attorney at law. The particular appearance of a product that results from any arrangement of lines or combination of colours, or any two-dimensional or three-dimensional outward shape, line, outline, form, texture, or material, without the intended use or purpose of the said product being thereby changed are registrable as an industrial design in Colombia. Online Database for Colombian Design Search.